Dr. Gary Lahti, D.O. is a board certified general surgeon. He graduated from Kirksville College of Osteopathic Medicine in 1992. 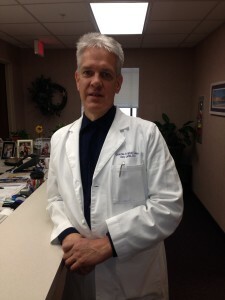 Dr. Lahti completed a one year traditional internship at Garden City Hospital in Garden City, Michigan and a General Surgery residency at Botsford General Hospital in Farmington Hills, Michigan in 1997. Dr. Lahti and his family relocated to Danville, VA in 1997 where he has been in practice since that time. He founded Danville Surgical Center in 2003. Dr. Lahti is an active staff member with full privileges at Danville Regional Medical Center. he is also an adjunct professor at the Edward Via College of Osteopathic Medicine and serves as a preceptor for Family Medicine and Internal Medicine Residency programs, and Traditional Internship program located at Danville Regional Medical Center. He is a member of the American Osteopathic Association and Medical Society of Virginia. 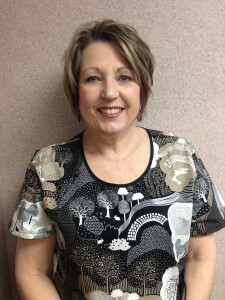 Jean-Carol Johnston is our certified medical assistant. She assists with the procedures and assesses patients for proper fitting of compression stockings. 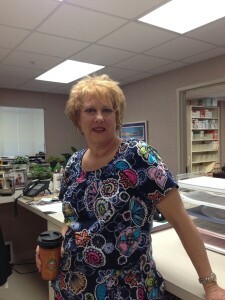 Denise Morris is our receptionist. 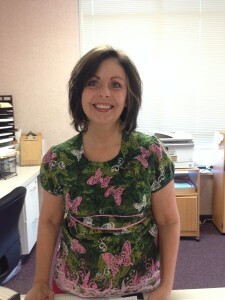 She schedules appointment times and follow ups and handles patient records.